Live like you're on vacation in this gorgeous luxury retreat! 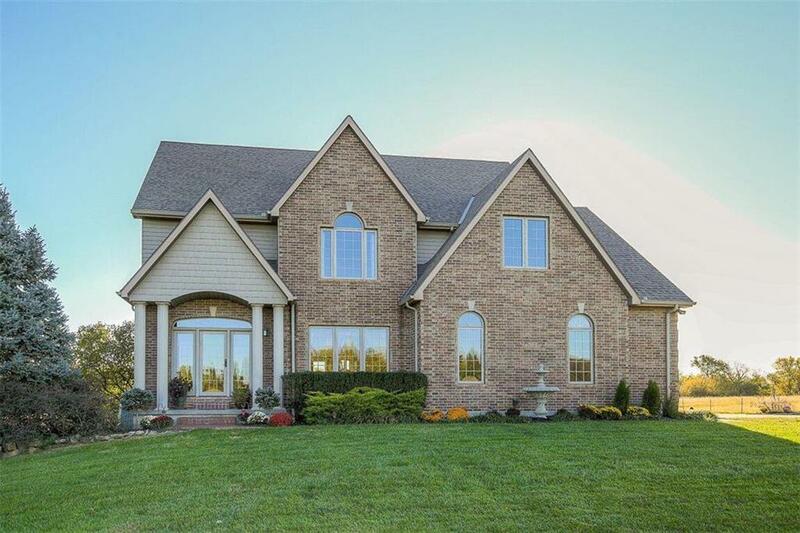 Just outside city limits, this custom brick home is set on +/- 9 acres & perfect for horse lovers. Offers trees, plants, pond, decks, pool, building & lean to for horses. The brick walkway leads to the stately entry. Step inside & fall in love! Built with all the best! Beautiful entry, huge kitchen, formal dining, living & hearth area. Dramatic stairs leads to Master Suite w/fireplace, sitting room & huge Jacuzzi! Every bedroom is big w/great closets. Directions: From 150 Hwy. & 291 South in Lee's Summit: Take 150 Hwy. East, through Greenwood, turn left (North) on Harris Rd. Home is on the right (East) side of the street.